To develop a deep learning bone age assessment model based on pelvic radiographs for forensic age estimation and compare its performance to that of the existing cubic regression model. 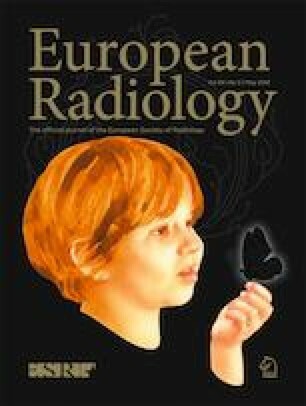 A retrospective collection data of 1875 clinical pelvic radiographs between 10 and 25 years of age was obtained to develop the model. Model performance was assessed by comparing the testing results to estimated ages calculated directly using the existing cubic regression model based on ossification staging methods. The mean absolute error (MAE) and root-mean-squared error (RMSE) between the estimated ages and chronological age were calculated for both models. For all test samples (between 10 and 25 years old), the mean MAE and RMSE between the automatic estimates using the proposed deep learning model and the reference standard were 0.94 and 1.30 years, respectively. For the test samples comparable to those of the existing cubic regression model (between 14 and 22 years old), the mean MAE and RMSE for the deep learning model were 0.89 and 1.21 years, respectively. For the existing cubic regression model, the mean MAE and RMSE were 1.05 and 1.61 years, respectively. The deep learning convolutional neural network model achieves performance on par with the existing cubic regression model, demonstrating predictive ability capable of automated skeletal bone assessment based on pelvic radiographic images. • The pelvis has considerable value in determining the bone age. • Deep learning can be used to create an automated bone age assessment model based on pelvic radiographs. • The deep learning convolutional neural network model achieves performance on par with the existing cubic regression model. Yuan Li and Zhizhong Huang contributed equally to this work. The scientific guarantor of this publication is Zhen-hua Deng. This study was performed with the approval of the ethics committee of the West China Hospital of Sichuan University. Some study subjects or cohorts have been previously reported in Zhang K, Dong XA, Fan F, Deng ZH (2016) Age estimation based on pelvic ossification using regression models from conventional radiography. International Journal of Legal Medicine 130:1143–1148.